3 Bedroom Detached House For Sale in Christchurch for Offers in excess of £600,000. This delightful detached house offering flexible and versatile family living is situated in the much sought after Hurn Way in West Christchurch. 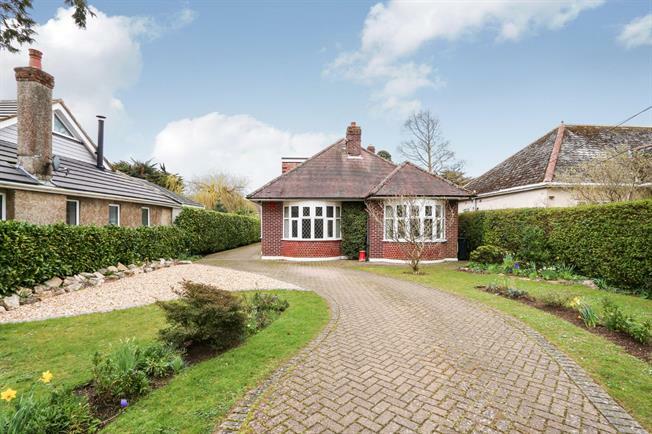 Positioned on a spacious plot in a very pretty location the property has a large frontage permitting a private peaceful residence. Good sized rooms throughout, centrally heated and also enjoying an open fire in the lounge. The lovely long rear garden houses the large detached garage and several patios including a raised decking area with built in BBQ. The back area includes lawn, vegetable patch and summer house all surrounded by natural mixed hedges. The property offers plenty of scope for expansion possibilities (subject to planning permission and building regulations). Viewing is highly recommended.